It is always nice when people are trying to do things for charity, often this urges us to do something even if we aren’t activily involved with the events or the charitable idea. This could be the case with people buying the recently released downloadable content for This War of Mine, even for those who aren’t actively playing the game might want to get behind the new content, which sales of the content will work to benefit children who suffer from conflicts and wars around the globe. 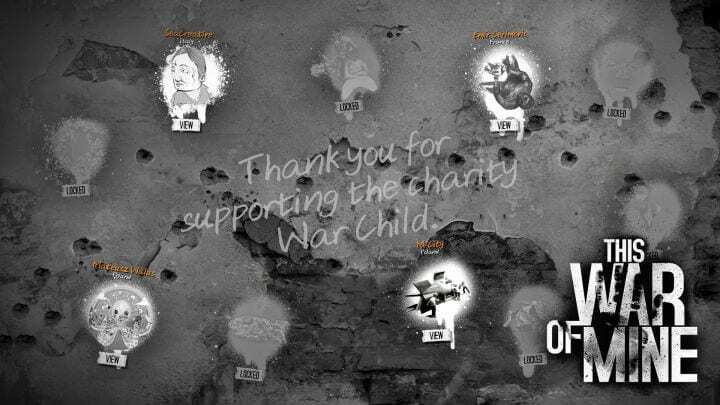 The DLC pack is called “War Child Charity DLC,” which has varying price points all depending on just how charitable you feel like being. Prices range from $.99 to $9.99 to $19.99 USD. The content includes, unique street art from artists like M-City, Gabriel “Specter” Reese, and many more. 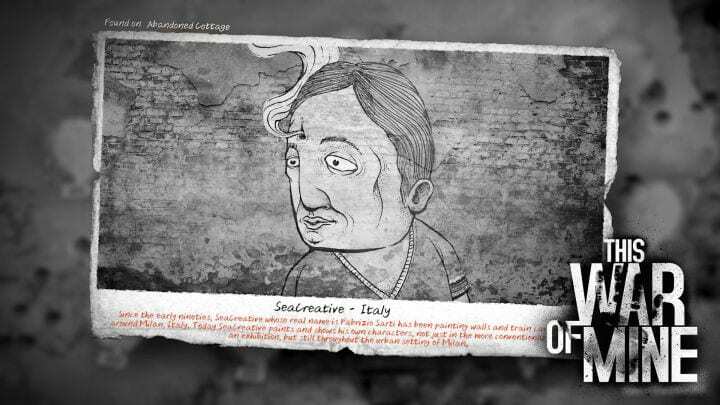 Their different pieces of art will be found in varying locations throughout This War of Mine. The screenshots below demonstrate some of the art you’ll find in the DLC.